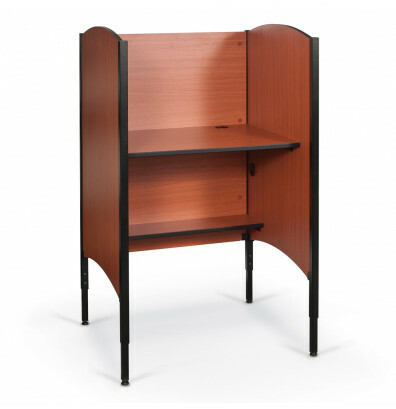 Balt Up-Rite 90294 height adjustable student study carrel offers a cherry laminate surface for long-lasting appeal. The desk surface is height adjustable from 27" to 39" high in 1.5" for personalized use. Panels made with 0.75" solid core. PVC edge banding protects against dents. Includes a CPU / storage shelf underneath. Wire management grommets help organize messy cables. Sturdy black powder-coated steel legs. Leveling glides for uneven floors. 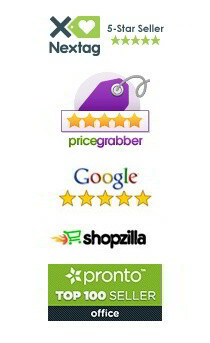 Ideal for libraries, testing areas, or any other place where privacy is required. Add another workspace to this Balt study carrel (Balt 90300). Upgrade this carrel with pop-up grommet charging ports (Balt 66666).